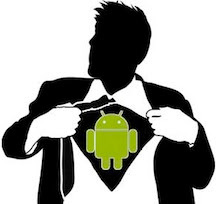 Ever since Android OS was launched, technology has taken a revolutionary turn especially in the smartphones department. Companies like HTC, Samsung and Motorola have been jockeying for position to get to the top spot and have thus delivered some of the coolest and most awesome smartphones - superphones if you will - that run the famed mobile operating system. With these companies trying to outdo each other, we see Android smartphones getting released on a regular basis. Keeping up with that many phones can be challenging so I’ll save you some time by giving you the 3 latest Android superphones that will satisfy your smartphone lust, for now. The Samsung I9100 Galaxy S II is the upgraded version of the world-famous Samsung I9000 Galaxy S. It improves all the essential hardware specifications of the Galaxy S and outshines each thing its older brother had. 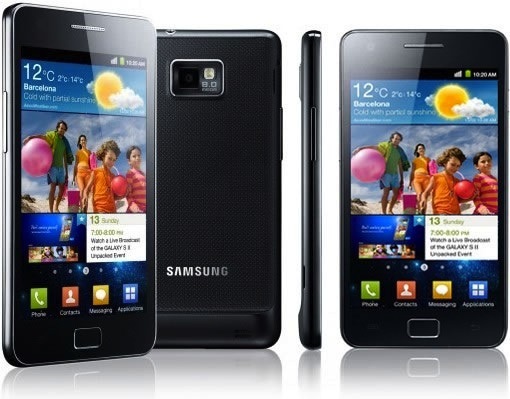 It is said that the Samsung Galaxy S II is twice as better as the Galaxy S and is bigger, faster and slimmer. This phone has everything a superphone should have. And more. Measuring 125.3 x 66.1 x 8.5mm and weighs in at 116 grams, this monster is powered by a dual-core ARM Cortex A9 processor on an Orion chipset and is clocked at 1.2GHz. This power is boosted by 1GB of RAM while the exceptional graphics owe their gratitude to its Mali-400MP GPU. The Galaxy S II may be a big phone but the ergonomics are exceptionally good and the device is comfortable to grip due to its being lightweight and slim. The display of the Samsung Galaxy S II is something to watch out for. With a massive 4.3-inch Super AMOLED Plus capacitive Gorilla glass touchscreen and a resolution of 480 x 800 pixels, colors literally appear to pop right off the display. Also, the screen of the S II looks sharper because it has 50% more subpixels and provides better viewing angles compared to the original Galaxy. The Galaxy S II has a rear-facing 8-megapixel shooter and a front-facing VGA snapper for video chats. The 8MP shooter comes with auto-focus and LED flash for photos of up to 3264 x 2448 pixel resolution. The images captured using the Galaxy S II’s rear-facing camera came out very good and the camera has features such as scene modes, smile detection, touch focus, geotagging and image stabilization among others. The 8-megapixel shooter also doubles as a video recorder capable of recording videos in 1080p and the resulting MP4 file has a lot of detail and come in 17Mbps bitrate. Running Android 2.3 Gingerbread, the Galaxy S II packs a 1650mAh Li-Ion battery that can give it juice for up to 6.5 hours of talk time and 350 hours of standby time. The Atrix 4G is the first dual-core smartphone in Motorola’s stable. It is also the first to flaunt a qHD (quarter HD) touchscreen. It is also the first handset from Moto to support the fast HSDPA+ network, hence the 4G moniker. With credentials as solid as these, you’ve got a Droid that isn’t afraid of what the future might have in store. The Atrix 4G is certainly the most powerful phone in the Motorola lineup. The specs sheet is just impeccable. Measuring 117.8 x 63.5 x 11 mm and weighs in at 135 grams, the Atrix 4G gets all its power from a dual-core 1GHz ARM Cortex A9 processor on a Tegra 2 chip working side by side with 1GB of RAM. Not only that, it also packs a ULP GeForce GPU to take care of graphic matters. It has 16GB of internal storage, which can be expanded via a microSD card slot. One of the key selling points of the Atrix 4G is its display. Under the Gorilla Glass sits a massive 4-inch qHD capacitive touchscreen with a 960 x 540 pixel resolution. For a mobile device, 960 x 540 is an extremely high resolution to have and should provide the user unprecedented quality and clarity in its display. The Atrix 4G is found somehow lacking in the camera department and only has a 5-megapixel rear facing shooter with autofocus and LED flash capable of taking pictures of up to 2592 x 1944 pixels. A secondary front-facing VGA shooter for video chats completes the camera ensemble. As expected, the rear-camera also doubles as a video recorder that records videos in 720p HD rather than the 1080p HD the Tegra 2 is capable of. 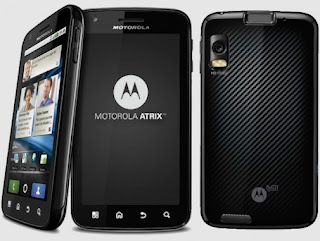 One bit of a letdown though is that Motorola decided to equip the Atrix 4G with Android 2.2 Froyo but plans of upgrading it to Android 2.3 Gingerbread are already in the pipeline. In terms of juice, the Atrix 4G is equipped with a 1930mAh battery that is seen as a considerable step up compared to other power packs seen on other smartphones. With that kind of power supply, the Atrix 4G has an approximate 9 hours of talk time and up to 400 hours of standby on a single charge. HTC has just taken 3 short years to rise from a relatively unknown manufacturer to market-leading company. 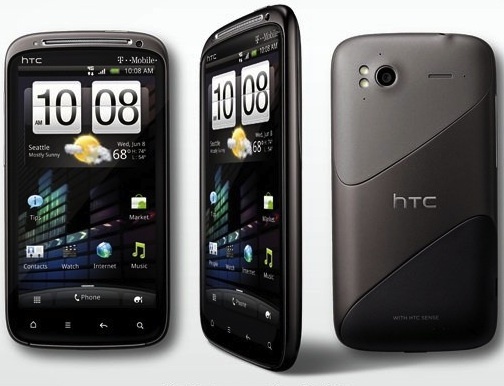 With the launch of the HTC Sensation 4G, the company is cementing its foothold on the smartphone market. Though the Sensation 4G brings an impressive specs list to the table, the superphone is much more about content and user experience than it is about the specs. Under the hood, the Sensation 4G has a dual-core Qualcomm MSM 8260 Snapdragon processor clocked at 1.2GHz souped-up by 768MB of RAM. The Adreno 220 GPU handles all graphics matters and handles them very well. It has 4GB of onboard storage that can be expanded via microSD card slot and can take up to 32GB cards. Measuring 126.1 x 65.4 x 11.3 mm and weighs in at 148 grams, the Sensation 4G is a little thicker and a bit heftier compared to other Droid smartphones in the market. Under the Gorilla Glass lies the Super LCD capacitive touchscreen with 540 x 960 qHD resolution. An accelerometer sensor is included in the display for intuitive UI auto-rotate support for multi-touch input method is standard. Despite not packing an OLED screen, images and videos still looked absolutely crystal clear on the display of the Sensation 4G. The Sensation 4G has two shooters: a rear-facing 8-megapixel snapper with auto-focus and dual LED flash designed to take photos of up to 3264 x 2448 pixel resolution and a front-facing VGA shooter intended for video chats. The rear-facing camera also acts as a video recorder capable of recording 1080p vides at 30fps WITH stereo sound recording. Now, that’s a first. As for the user experience, the Sensation 4G will run HTC Sense 3.0, the latest version, on top of Android 2.3 Gingerbread. This potent combination promises of an even more feature-rich user experience. The Sensation 4G packs a Li-Ion 1520mAh battery to provide it juice for an approximate 6 hours and 40 minutes of talk time and up to 400 hours of standby time on a single charge. Actually, what you read about the three superphones mentioned above is just a short but sweet rundown of the most important things people look for in a smatphone, namely: processor, GPU, RAM, internal storage, display and the like. On paper, these three smartphones are impressive I know. But whatever you’ve read will pale in comparison once you already have one of these bad boys in the palm of you hand, ready to do all your bidding. If money is no object and you are perfectly willing to shell out the dinero just to take one of the fellas listed above home, lucky you! For the meantime though, most people are going to have an unquenchable smartphone lust, which can only be cured by buying a new superphone. The fix however, will only be temporary judging by the rapid advancement of technology nowadays. The risk is that the sleek and powerful smartphone you have in your hands right now might become a “has-been” in just a couple of months. Are you willing to take risk? The last paragraph sums up my situation at the moment. I'm torn between an Incredible S for less money, a Sensation 4G for more money, or a Nexus Prime in a few months. It's tough because they are coming out at an incredibly fast rate so it's hard to tell when the right moment is to buy. Nonetheless, Smartphones these days have very impressive spec sheets.